EDP Europe has extended our range of server lifters with the addition of Genie server lifts. The Genie® GL server lift range consists of standard or counterweight models designed to make the movement and handling of IT equipment easier. Genie server lifts have now been added to EDP Europe’s range of server lifters. 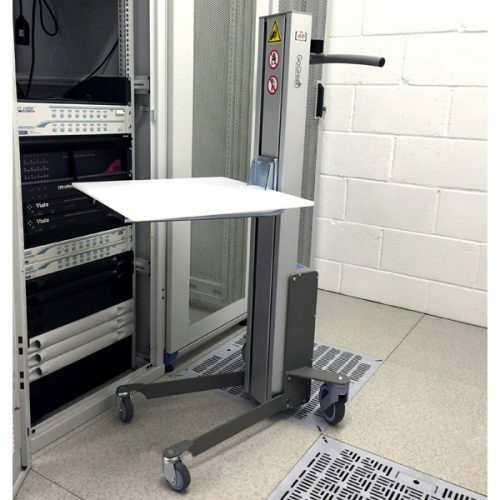 The Genie® GL server lift range consists of standard or counterweight models designed to make the movement and handling of IT equipment easier. The standard base Genie GL server lift has a compact design and low loading height that allows you to lift and manoeuvre in tight spaces. Genie standard base server lifts are available in GL-4 and GL-8 models. 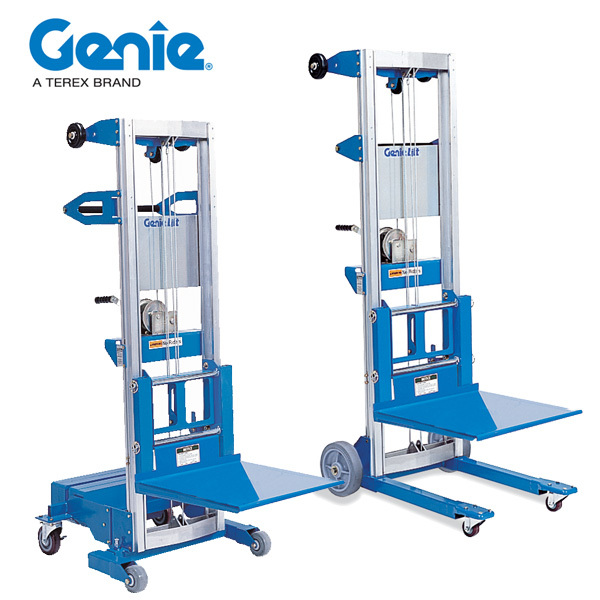 The counterweight base Genie GL server lift has a short leg length than enables you to work closer to the carried load, and is available in GL-4, GL-8 and GL-10 models. Genie GL server lifts have a portable and compact design. Lightweight, durable, telescoping aluminium construction. Removing platform exposes durable steel forks that provides extra versatility for lift. Standard base server lift has 20cm non-marking rear wheels and 5cm dual wheel fornt swivel castors. Counterweight server lift has 12.7cm rear swivel castors with side brakes and 10cm fixed front wheels. Loads are lifted and lowered using standard which. Up to 227Kg load capacity. Available in standard or counterweight base options. Up to 181Kg load capacity. Up to 159Kg load capacity. Only available with counterweight base.